There is nothing manlier than a man who knows how to groom himself right. Many men may go for shaving cream for their grooming process, but there is something that makes all the difference in a smooth shave and that is shaving soap. Shaving soaps help to moisturize your skin and protect it during the shaving process, making it a highly valuable addition to a man's shaving ​​​​​routine. 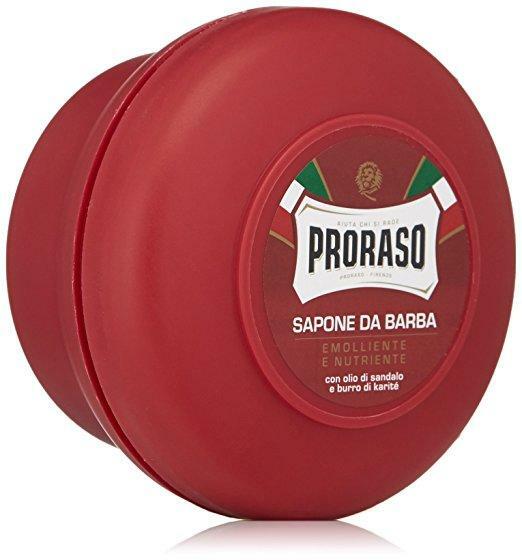 Following are our top 5 favorite shaving soaps that deserve recommendation. ​Is it for ​Sensitive ​Skin? Why is shaving soap better than shaving cream? 5. 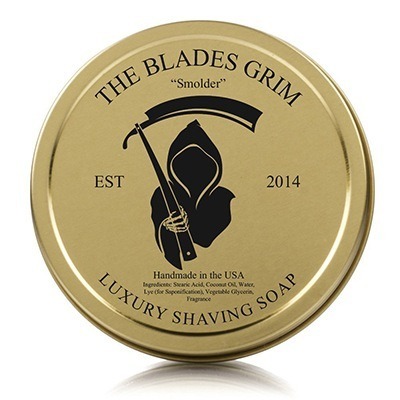 The Blades Grim - Gold Luxury Shaving Soap "Smolder"
​The Blades Grim - Gold Luxury Shaving Soap "Smolder"
Shaving soaps are worth your investment as they will greatly benefit your shave, yet how do you know which one to choose out of the myriad of options available on the market? ​Some men like their soaps with a perfumed smell to add that special touch to their grooming routine while others prefer soaps that are fragrant-free. ​Based on a rather personal preference and the question of smell is only one that you can answer. Of course, some brands do a better job at providing you with wearable smells that are just right. ​In most things, you try to stay away from the fat content, right? Not with your shaving soap. 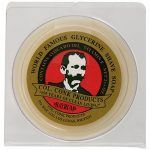 A soap with glycerin or tallow is exactly what you are looking for as this helps to provide the lather that you need for a safe and smooth shave and provides the right amount of protection. Remember to always look for the fat content in the soap to ensure that you are getting actual shaving soap. ​Just as you would want to find special shaving cream ​for sensitive facial skin, you also want to be sure that you have a shaving soap that won't irritate during and after your shave. It's one reason why shaving soap is better than cream, as it provides a moisturizing lather which is important for sensitive skin, but it always helps to find one with special ingredients, such as lavender, or any other type of substance that is highly beneficial for skin. ​Going beyond sensitive skin, is your skin dry? If so, you may need to look for soaps that have special oils or butters that will help to add moisture to ensure that you get bump-free and soft skin after your shave. 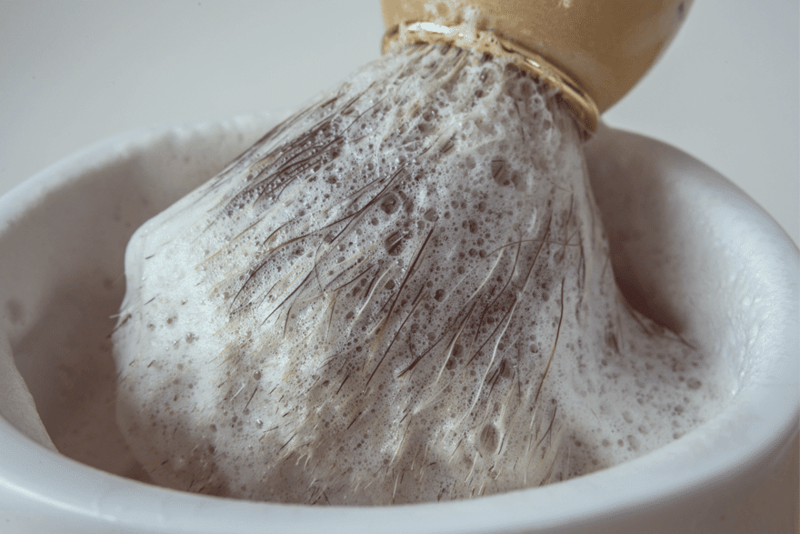 Because of the fat content in most shaving soaps, it tends to allow a more oil-like lather than shaving cream which could greatly benefit your dry skin and leave you with a soft smooth face (maybe for the first time since adolescence?). ​While there are many different ingredients found in shaving soaps, ones that you ​want to look for to ensure that you get soft skin from shaving with a soap are: mango, lanolin, lavender, aloe, and coconut oil, among many others. These above-mentioned ingredients are extremely helpful for soft and smooth skin. Of course, you may not want to ​buy a soap that contains all of them, especially if your skin is naturally greasy. The above factors are ​the most important when looking for your shaving soap. 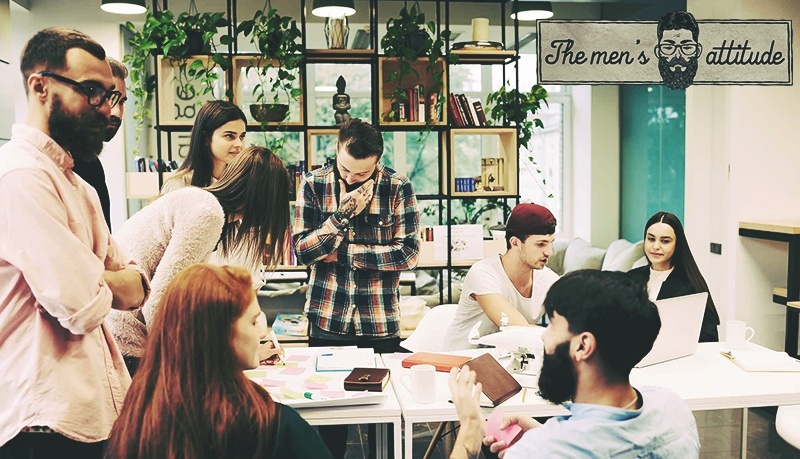 You also want to consider other factors such as pricing, presentation, and texture. ​It's probably what your great grandfather used to shave, which is pretty cool and kind of proves that maybe there's something to it. ​Shaving soap has ingredients in it that are key for lubricated shaving which is what will keep your skin free of bumps and inflammation. ​Shaving soap is more affordable than shaving cream and usually lasts longer which makes it more cost-effective. ​The lather you can get from a quality shaving soap is much better than one that automatically comes from shaving cream. While you do have to, at times, do a little bit of work to ​build a rich lather, once you do, the end result on your face will be worth it. A good shaving soap will provide you with the perfect moisture and lather that allows your razor to glide effortlessly over your skin. Whether you have used shaving soap before or are just reading it about now, it's worth giving it a try, especially if your skin gets irritated ​and doesn't feel smooth after a shave. It may be the solution to your shaving problems. 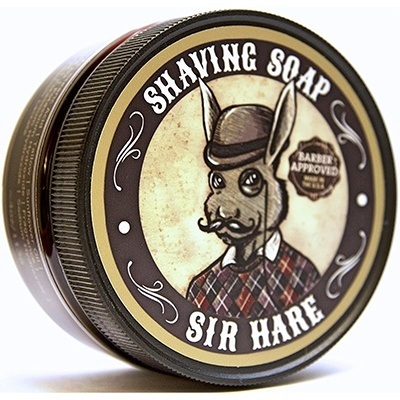 ​The Sir Hare Shaving Soap for Men is tallow based which is an important feature in shaving soaps. This helps it provide men with the lather that ensures a safe and smooth shave. Another attractive feature is that it's made from all-natural ingredients which is ideal for men who may have sensitive skin. The subtle scent of cedarwood and oakmoss is ideal for those who like mild fragrance in their shaving soap. 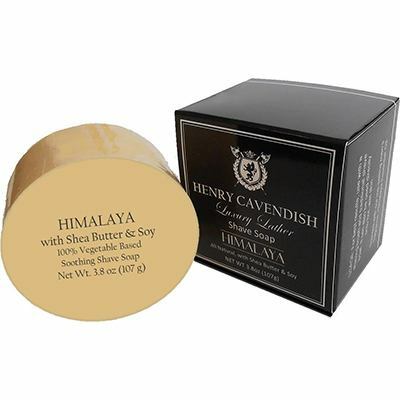 ​For those who have sensitive or dry skin, the ﻿﻿shea ﻿﻿butter in the Henry Cavendish ​is an attractive feature. It helps to keep skin moisturized and smooth which is important in shaving soap. With such a slight aroma, it's a good choice for men who don't like fragrance in their soaps. 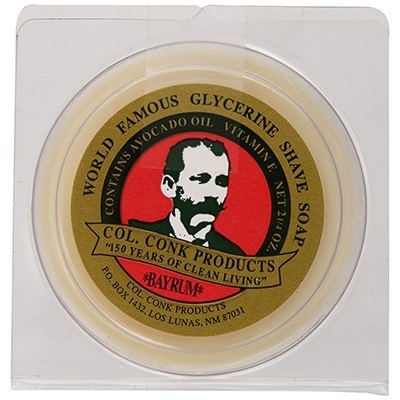 ​As a shaving soap that has avocado oil and vitamin E, the Col. Conk provides a fair amount of moisturizing effect for men who have dry skin. It has a subtle scent of Bay Rum that lasts for a long time and it comes in a neat package that can be carried with you on trips. While it may take some time for you to ​build a good lather, once you add enough water it lathers up nicely for a smooth shave. For an affordable price, it has some of the best features that are required for a good shaving soap. 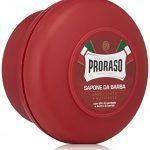 ​Proraso Shaving Soap in a bowl is a great example of a classic shaving cream. It produces a rich, creamy lather that is pleasant to work with and provides a clean shave without nicks or cuts to the skin. Menthol and eucalyptus work together to provide a cooling sensation and to purify and tone the skin underneath. This concentrated soap is still made in small batches using a rigorous, time-tested process. 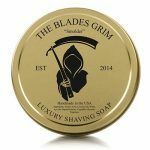 ​As you would expect from a luxury soap, The Blades Grim soap offers a thick lather, as well as a pleasant scent that is both manly and subtle. If the winner for " best shaving soap " could be only from the scent factor, this soap would be the reigning champion. Made from ​natural ingredients, men with sensitive skin can trust that it won't irritate or cause inflammation. The stylish packaging is both functional and attractive and it is a relatively inexpensive shaving soap. While we like every shaving soap that we have mentioned and each one has its pros that make them reliable and attractive purchases, our favorite and the winner for the title of "best shaving soap" has to be the Sir Hare Shaving Soap for Men. It combines the ideal features that make it a great shaving soap to add to your grooming kit and will allow you to get the smooth and soft shave that you are looking for. It has the scent, great lather, and leaves you with that smooth feeling that is exactly what you want at an accessible and affordable price.